Union Finance Minister, Shri Arun Jaitley urged to the service providers to exploit the inherent potential of the country to become more competitive globally. Minister said that services sector is India's core strength and the country has the ability to provide services cheaper globally. Shri Jaitley was speaking at the valedictory function of the Global Exhibition on Services (GES) here today. 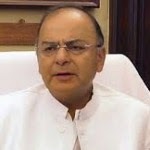 Shri Jaitley said that Technology will play a much bigger role in the coming days and further said that the world's largest retailer does not own even a single store and the biggest transporter does not have a single vehicle.The Finance Minister added that while 100 per cent FDI allowed in several sectors, there are caps in segments like insurance, media, banking among others. Although foreign investment is not allowed in legal services, several lawyers in India provide opinion to overseas lawyers. "I see hundreds of lawyers in Delhi and Mumbai typing opinions and preparing documents and sending it to their counterparts internationally, but we officially do not allow any foreign collaborations technology and this battle of ideas has defied all areas where we have been slow to grow." The Finance Minister asked the industry to identify those areas where services are not cheaper in India and then go to each one to us to the central government, to the state governments that these are the areas to address where from education to healthcare to IT to professions. Shri Jaitley added that these are going to be generators of huge number of jobs in India and therefore this is what we owe it to the present India and the future India. Earlier the Minister expressed grief over loss of life and property due to a major earthquake in Nepal and large parts of India. Earlier Commerce Minister Smt. Nirmala Sitharaman said that it gives me immense pleasure to be part of this gathering today and also makes me feel extremely motivated and proud that the Prime Minister inaugurated this great event and today we have the Finance Minister as a part of part of valedictory gathering. Minister announced that next year Global Exhibition on Services would organized from 24-26th February, 2016. Smt Sitharaman further said that because India’s strength in services, India is a leader of providing all services is well acknowledged all over the world and the advantage that we have is something which we wanted to showcase and we also wanted to serve as a platform to receive & share our experience with other experienced countries in the service sector. Commerce Secretary Shri Rajeev Kher said that this exhibition was first of its kind that we did and it has been welcomed and very enthusiasm responses. Secretary informed that we decided about organising this exhibition few months ago as part of overall push to the service sector. Shri Kher said that there is several sector which here display such as tourism which is yet under exploited; health care which has huge promises, telecom, logistics which is much underutilized. At present there is huge capacities so we have a very strong backup of service and strength and that is the whole idea behind it to organizes the exhibition. The Minister of State (Independent Charge), of Environment, Forest and Climate Change, Shri Prakash Javadekar has emphasized the need to reduce timelines for various projects and right conditions to be prescribed that are reasonable, practical, real and need-based. Inaugurating a One-day Workshop on “Environmental Impact Assessment: Challenges in India and Way Forward” at Vigyan Bhawan here today, Shri Javadekar said that processes for granting approvals must be simplified and cases must be decided solely on the basis of merit. The Minister urged all the stakeholders to give suggestions on the accreditation process and become partners in the progress of the nation. He said that the delivery status of 2200 online applications would be evaluated within one month. Referring to the recent preparation of Standard Terms of Reference in 39 sectors, Shri Javadekar said that besides the environmental impact, a study on the social impact is also required. The Minister said that a law is being worked upon to enable funds under Compensatory Afforestation Fund Management and Planning Authority (CAMPA) to be given to the States for aggressive afforestation. He also stressed upon the need for increased accountability and compliance through technology. Dr. Prodipto Ghosh, former Secretary, Ministry of Environment and Forest, Shri Adil Zainulbhai, Chairman, Quality Control of India and Dr. P.B Rastogi, Director, Ministry of Environment, Forest and Climate Change also addressed the gathering. The One-day Workshop is being jointly organized by Ministry of Environment, Forest and Climate Change, Quality Control of India, QCI and National Accreditation Board of Education and Training, NABET. The Union Home Minister, Shri Rajnath Singh has Chaired the 27th meeting of the Northern Zonal Council comprising of the States of Himachal Pradesh, Haryana, Jammu and Kashmir, Punjab, Rajasthan, NCT of Delhi and Union Territory of Chandigarh, held here today. It was attended by the Chief Minister of Himachal Pradesh, Shri Virbhadra singh, Chief Minister of Punjab, Shri Prakash Singh Badal, Chief Minister of Haryana, Shri Manohar Lal, Deputy Chief Minister of Jammu and Kashmir, Shri Nirmal Singh, and other Ministers and Chief Secretaries of the member States and the Advisor to the Administrator of the Union Territory of Chandigarh. The Chief Minister of Himachal Pradesh is the current Vice-Chairman of the Council. While making opening remarks, the Union Home Minister, Shri Rajnath Singh has said that the Inter State Council Meeting is crucial for the strengthening of the Centre-State relations. Cooperative Federalism must be strong and the Centre has to work for strengthening the States, he added. The Home Minister also said that the Tulsi commission report should be implemented to strengthen the Centre-State relations. The meeting of the Council which took place after a gap of about three years indicates the resolve of the present Government at the Centre to revitalize the statutory institutional mechanism of the Zonal Councils and the Inter-State Council for promoting cooperative federalism in the country. The Northern Zonal Council which met today reviewed the progress of the implementation of the recommendations made at the last meeting of the Council held at Chandigarh in July 2012. The Council also took up for discussion several social, economic and development issues which have currently assumed importance in the context of inter-state and centre-state relations. The issues which were discussed today included procurement of agri-produce on Minimum Support Price, Interlinking of Rivers, Eco Sensitive Zone, Air Pollution in Delhi and setting up Homes for the intellectually impaired/mentally challenged in all Northern States etc. The Northern Zonal Council also deliberated upon some issues suggested by the Inter-State Council Secretariat. In the past, meetings of the Zonal Councils have been held at irregular intervals. The present Government is keen to give due importance to Inter-State and Centre-State issues through reactivation of the Zonal Councils and the Inter-State Council. The Government realizes the immense potential of these statutory institutions in resolving regional issues, speeding up economic development of States, ensuring inclusive growth and sustainable development of all regions in a balanced manner, and promoting the goal of cooperative federalism. All the Chief Ministers and the Ministers have also addressed the meeting. The meeting of the Council ended with the decision to convene its next meeting at the earliest. The Union Home Minister thanked all the participants and assured the member States of the Northern Zonal Council of all possible cooperation from the Council Secretariat. Tourism Minister announces financial assistance of Rs 50 crores for development of tourism in Nellore district over next five years. The Union Minister of State for Tourism(Independent Charge), Culture (Independent Charge) and Civil Aviation, Dr. Mahesh Sharma visited the Indian Institute of Travel & Tourism in Nellore, Andhra Pradesh today. On the occasion of his visit, the Union Minister announced a sum of Rs 50 crore for the development of tourism in Nellore over the next five years. Dr Mahesh Sharma said India is a country known for its hospitality; and its visitor-friendly traditions, varied life styles and cultural heritage and colorful fairs and festivals hold great attraction for the tourists. The Minister also said that domestic tourism is as old as the Indian society. According to available statistics, domestic tourism has grown substantially during the last one decade. Some of the recent initiatives taken by the Government to boost tourism are the best examples of the government’s dedication towards tourism and culture, he added. Dr. Sharma said that the Central Government has been giving funds for a number of Tourism related projects in the state of Andhra Pradesh and is will continue to provide assistance in the future too. The Union government gave financial assistance to the tune of Rs ten lakhs for organizing Flamingo festival in Nellore district in the month of January, 2015, Dr. Sharma said. Similarly, development of Kakinada Hope Island Konaseema as World Class coastal and Eco Tourism Circuit in Andhra Pradesh is also being supported under the new Swadesh Darshan Scheme of Ministry of Tourism. A sum of Rs 10811 lakhs has been sanctioned by the Union Ministry of Tourism for 13 projects during the year 2014-15 to the state of Andhra Pradesh . A sum of Rs 1253.4 lakhs was released for these projects during the year 2014-15. The first meeting of the Sub-Group of Chief Ministers on Skill Development was held today in NITI Aayog, New Delhi. The Sub-Group was constituted as per decision taken in the first meeting of the Governing Council of the NITI Aayog chaired by the Prime Minister on 8th February, 2015. The Sub-Group consists of 11 Chief Ministers as Members. The Chief Minister of Punjab, Shri Prakash Singh Badal is the Convenor of this Sub-Group. The Chief Ministers of Assam, Chhattisgarh, Gujarat, Himachal Pradesh, Tamil Nadu and Minister of Employment, Technical Education & Training for Odisha attended the 1st Meeting along with representatives of Goa, Meghalaya, Puducherry and Tripura. Member of NITI Aayog Shri V.K.Saraswat and other senior officials were also present at the meeting. The meeting discussed various aspects related to promotion of skill development and creation of skilled manpower within the States. Strengthening the State Skill Development Missions, expanding the outreach of skilling in demographically advantageous States, hilly/ difficult areas, increasing the private sector participation, improving the quality of training, addressing the shortage of trainers, advocacy and awareness generation, improving career guidance, sharing of best practices of States/ UTs were some of the major issues discussed. It was decided to hold consultations with relevant Central Ministries and regional consultations with members/other States to obtain inputs for drafting the report .